Are you planning to throw a baby shower in honor of a mom-to-be? Baby showers require detailed planning and sending out apt baby shower invitations is the starting point of the journey. 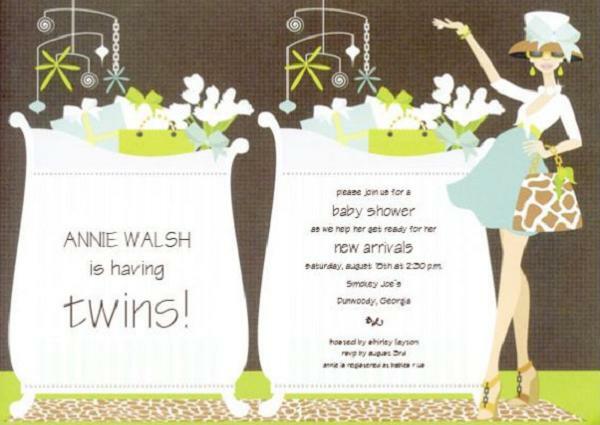 Numerous baby shower invitation templates are available online or at your local printer. You need to select a baby shower invitation that appropriately conveys the theme and the mood of the party. Your invitation is going to speak a lot about you and the mom to be, so keep it stylish, cute and appealing. You can also design a baby shower invitation by yourself. Numerous online stores offer do it yourself kits for creating baby shower invitations. Personality of Mom-to-be: baby shower is thrown in honor of mom-to-be; hence, it is important that the baby shower invitation reflects her personality. 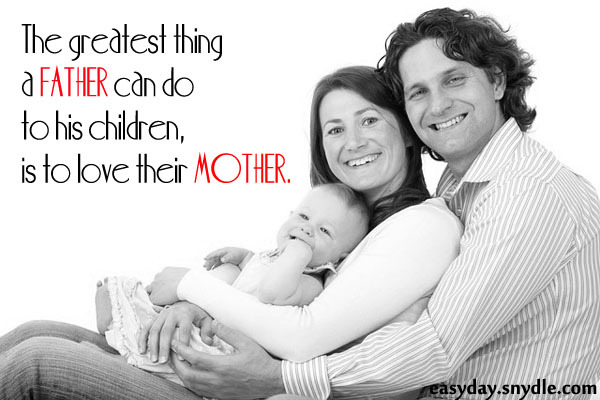 It is a good idea to include the mom-to-be in the selection process. This will give you fair idea about her personal tastes and preferences. Keep taste of your guests in mind: another important aspect to keep in mind while selecting baby shower invitations is the guest demography. Is the guest list full of relatives or is it full of young moms or unmarried girls? 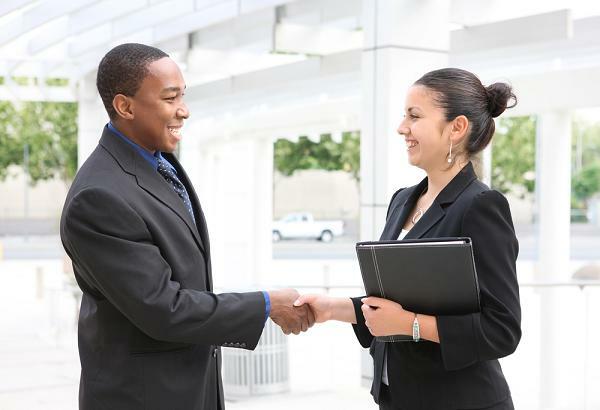 Demography of your guests will determine their tastes and preferences. You do not want to send out an over the top, trendy card to relatives who are slightly older. Conservative guests may not appreciate casual baby shower invitations. Quality of the invitation: Ensure that your baby shower invitation is printed on high quality paper. Quality of your invitation will determine the taste of the host and the quality of the party. 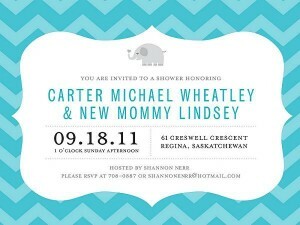 You definitely do not want to send out baby shower invitations that are going to be tossed aside after a glance. if the mom-to-be has decided to announce the gender of the baby, you can opt for gender based baby shower invitations. 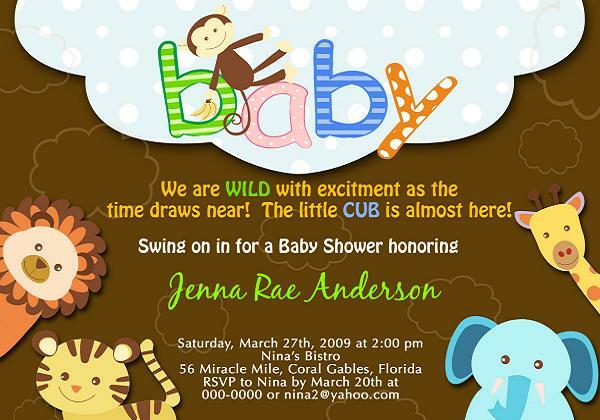 Baby shower invitations for girls are usually pastel hued or pink colored. Images of Balloons, dolls and fairy princess etc are dominant in girl baby shower invitations. baby shower invitation for boys are usually in solid tones. Blue is one of the dominant colors in boy baby shower invitations. Images of Tractors, airplanes, kites and cars are popularly used in boy baby shower invitations. if you are planning to announce the arrival of twins at the baby shower, then you choose from wide range of twin baby shower invitations. 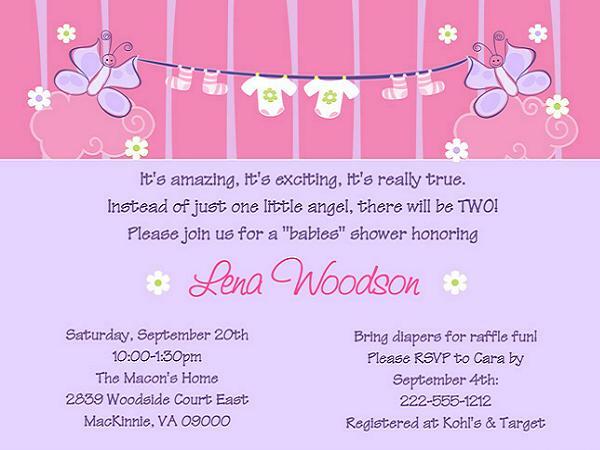 Twin baby shower invitations often use images of twins or dual shaded invitations. Image of stork carrying two babies is also a popular choice for baby shower invitations for twins. 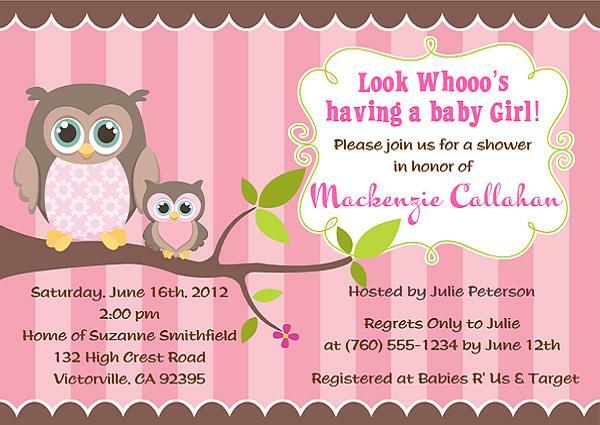 if you are looking for a nature inspired baby shower invitation then owl baby shower invitations can be a good choice. Owl baby shower invitations include images of cute owls, trees and other elements of nature with exciting wordings. Send cute message across with Winnie the Pooh themed baby shower invitations. Bright images of Winnie the Pooh announcing the impending arrival can grab your guests’ attention at once. 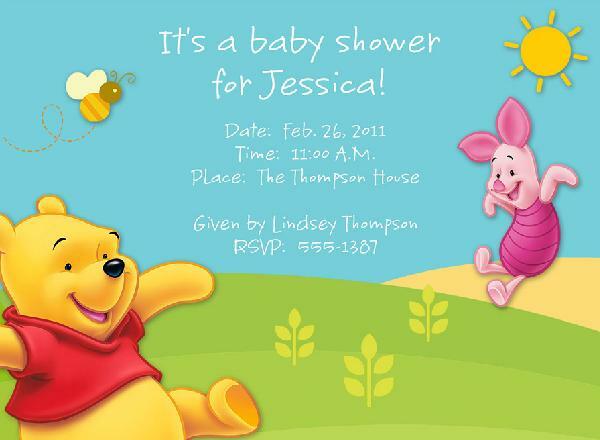 Winnie the Pooh is one of the most popular themes for baby shower invitations. 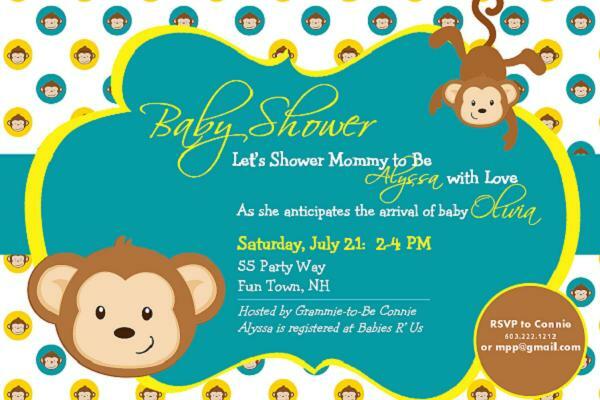 If you want to send a humorous and cute, baby shower invitation then you can opt for a monkey baby shower invitations. Monkey themed invitations usually have wordings like ‘little monkey is on its way’ or little monkey is going to be a big sister’ etc on them. You can also opt for animated images of monkeys in your invitation. planning on a costume themed baby shower? Why not opt for a Safari baby shower invitation. Invite the guests to show their wild side by dressing up like their favorite animal. Safari themed baby shower invitations are colorful and exciting. Does the mom-to-be like beach and the sand? Or are you planning on a nautical themed baby shower? 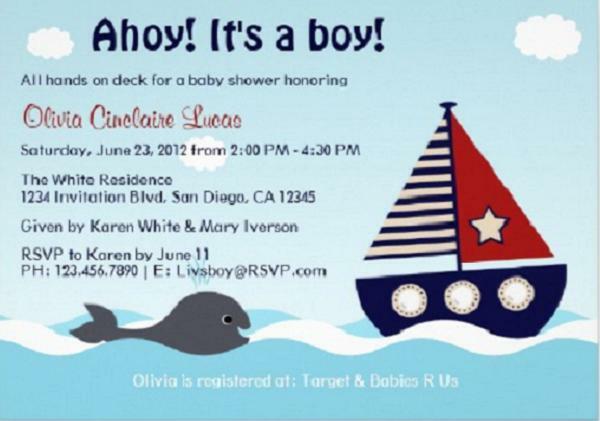 Say it with style by sending nautical baby shower invitations to your guests. Images of sailboats, Anchors and sailors can be innovatively used in nautical baby shower invitations. You can also use images of baby boy swimsuits or baby girl swimsuits to announce the baby shower in style. Send a Disney themed baby shower invitation with cute Minnie mouse baby shower invitations. Minnie mouse themed invitations are extremely popular with different age groups as Minnie mouse represents the eternal Disney classics. If you want to create a unique baby shower, invitation you can images of would –be-parents in conjunction with the theme of the party or you can also opt for DIY baby shower invitation kits.